This is not a love story about a man and a woman. 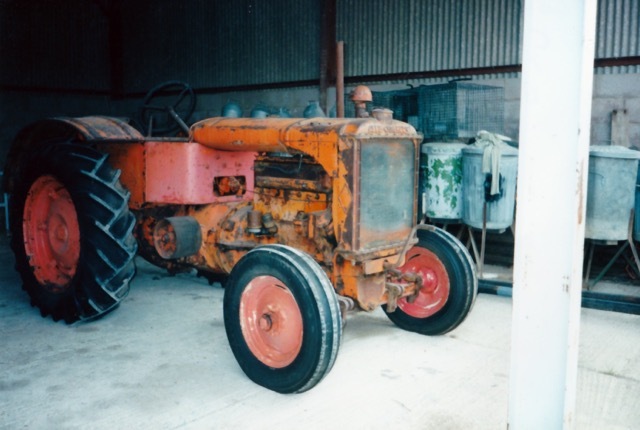 Allis Chalmers is not a girl but a company, an American company to be exact who specialised in making agricultural machinery. 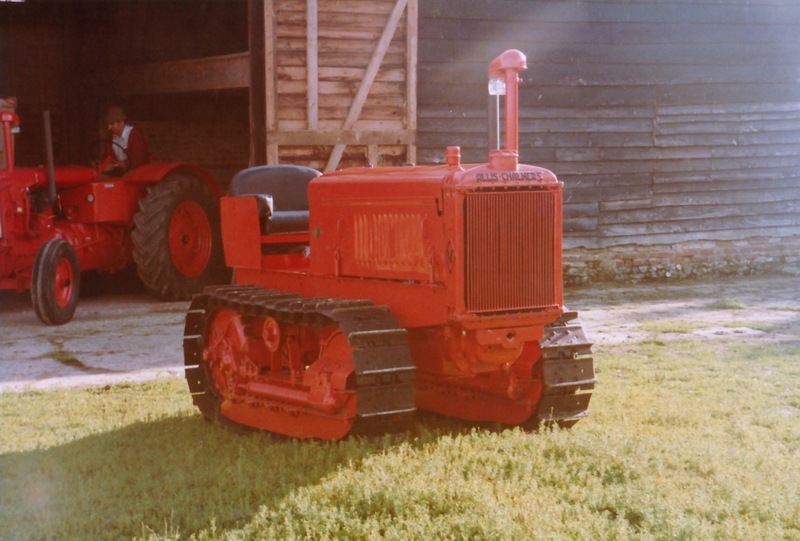 The company was formed in 1901 but disolved in 1999, and during almost 100 years of operation produced some of the most advanced agricultural machinery of its day. 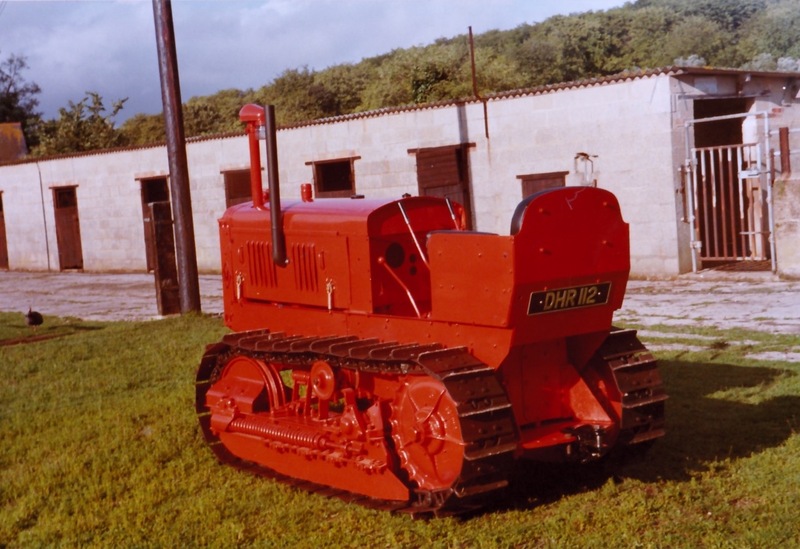 Before and directly after the war, Allis Chalmers tractors led the field, but their position in the market after 1945 was blighted by a crippling 11 month labour strike, allowing competitors to grab some of the market share. 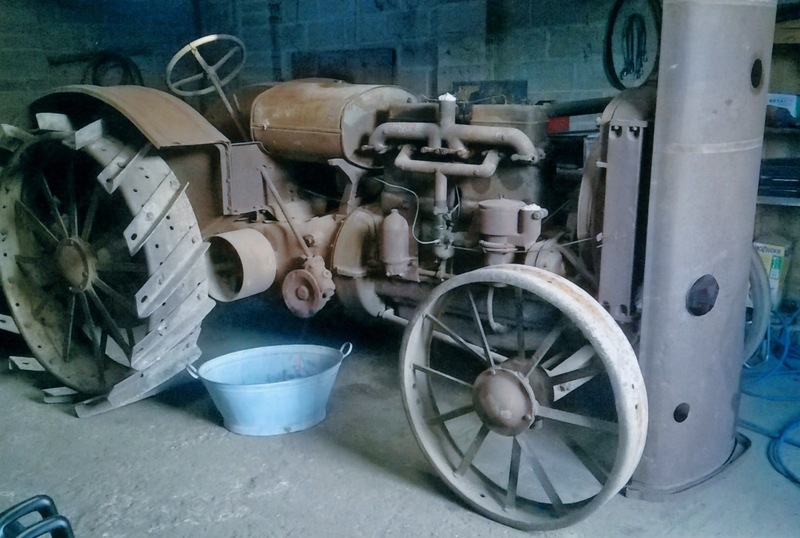 Much of the machinery available to farmers in the 20s, 30s, and 40s came from America, and a large percentage of it was produced by Allis Chalmers. 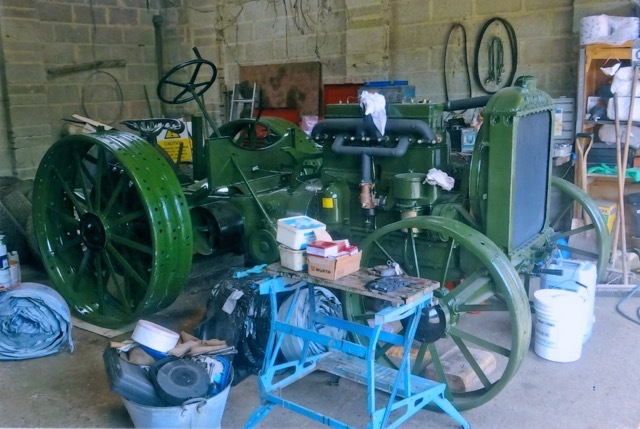 Cyril Emm was born in Stratford Tony in 1930, and as a young lad was always interested in the workings and operation of farm machinery. His first job was working for H.D. 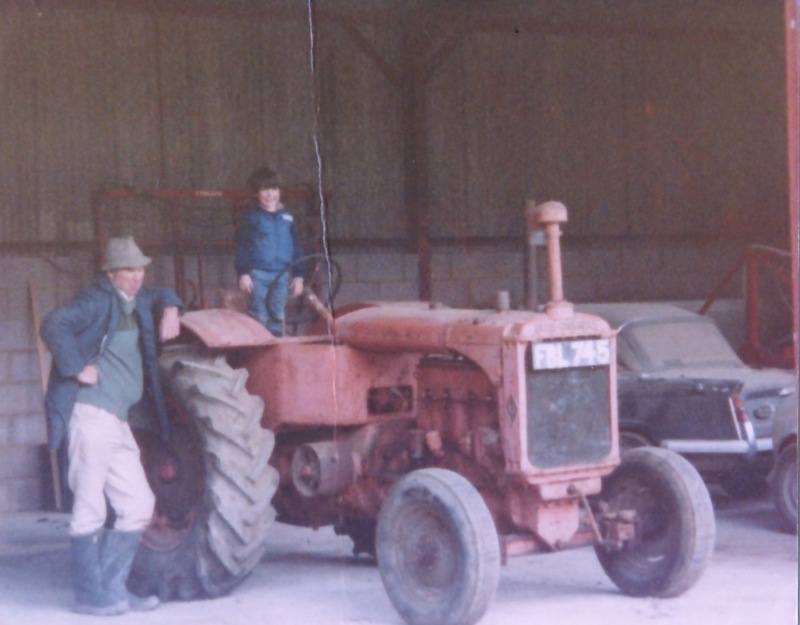 Coles, a farmer in Fifield as a tractor driver, rapidly earning a reputation as a skilled and capable machine operator. 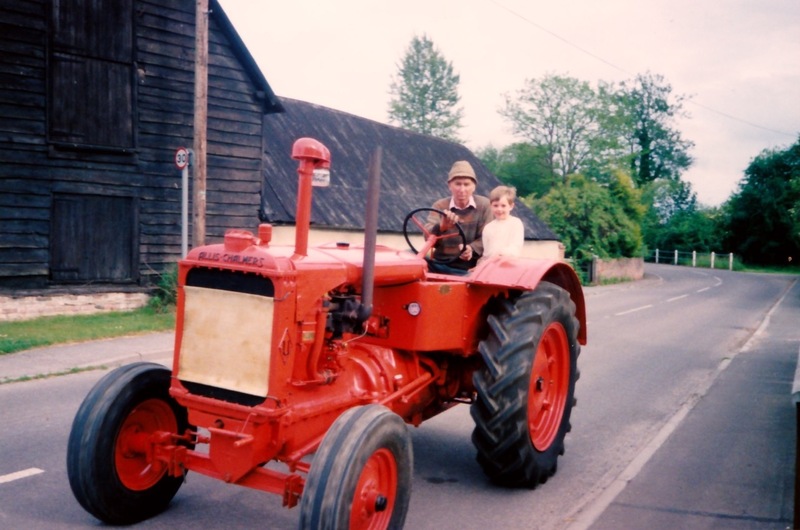 In 1950, he married Joanna and in 1954 moved to Berwick St James to work for George Street senior, and he has remained in Berwick ever since. 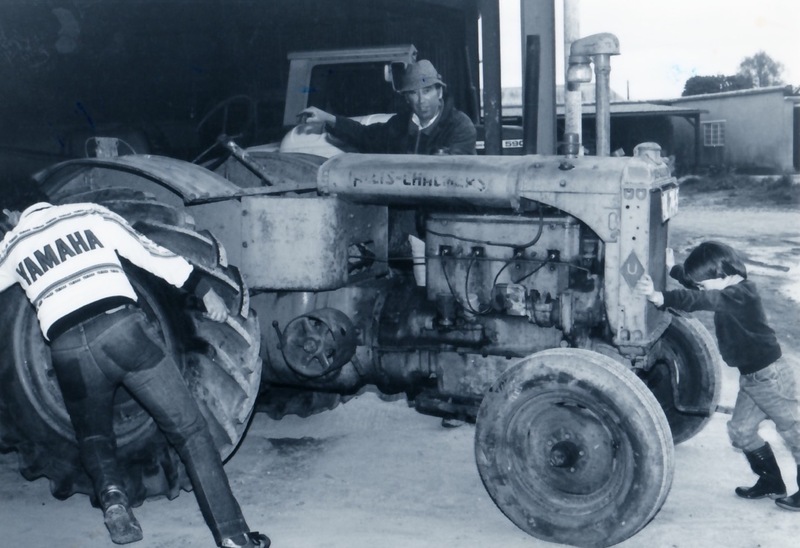 He was employed by George Street as a tractor and combine driver, and two years later promoted to foreman on the farm, a position he held until his retirement in 1995. 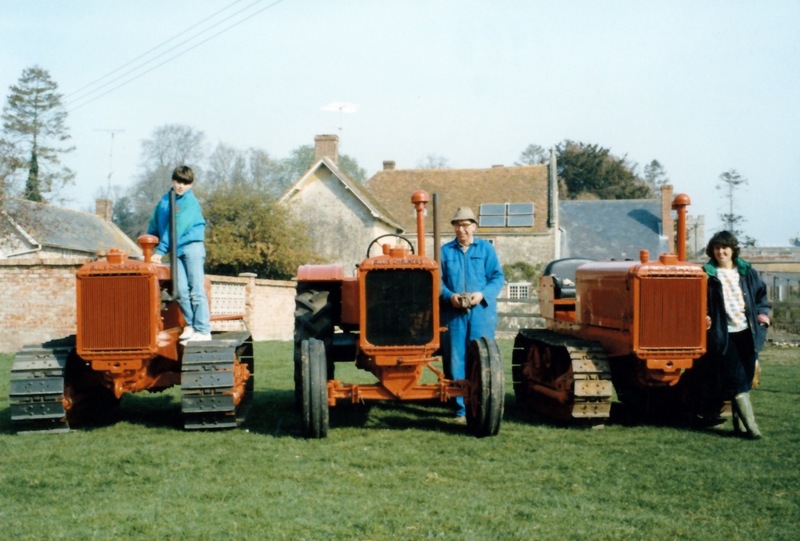 From 1982 Cyril was responsible for the maintenance and good running of the farm's equipment, which included a number of Allis Chalmers tractors and crawlers. 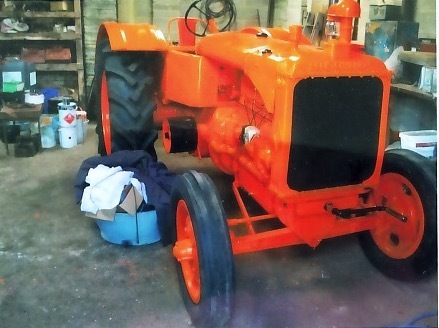 In 1982 during a bout of pneumonia, Cyril decided that not only did he enjoy working on and with Allis Chalmers tractors, but that he would buy and restore one for himself. 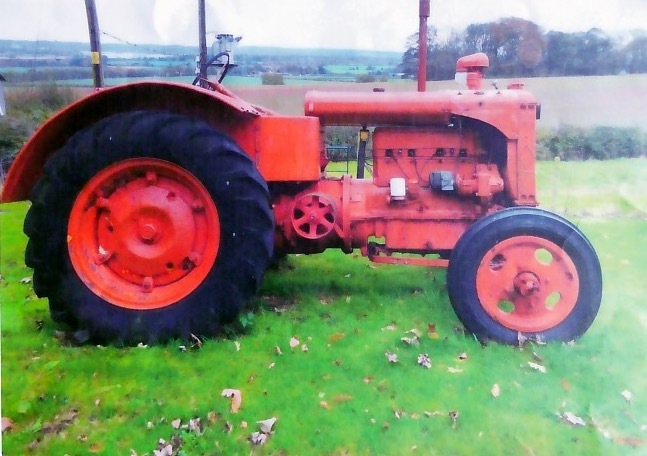 That year he purchased an Allis Chalmers Model U tractor, the first of three, in Bishops Waltham for £300. 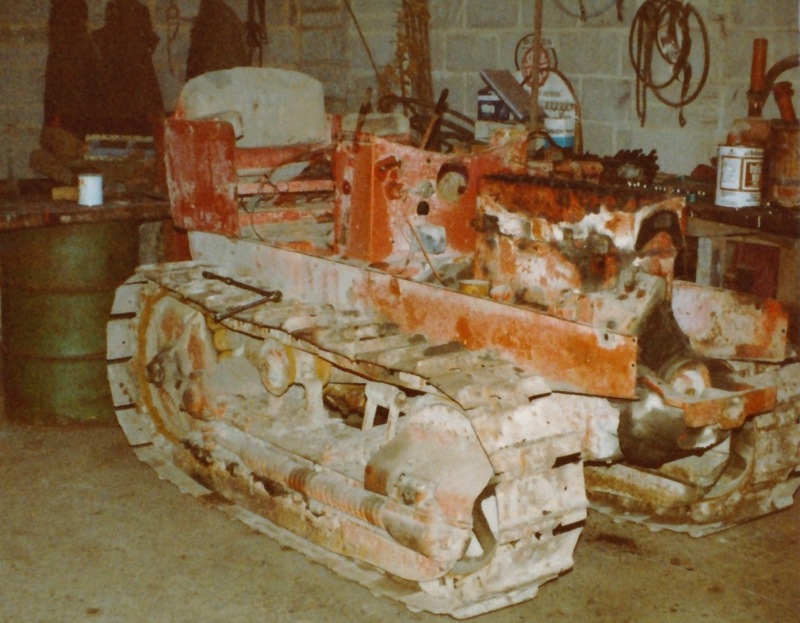 Built in 1941 and not in working condition, he set to work to restore it. 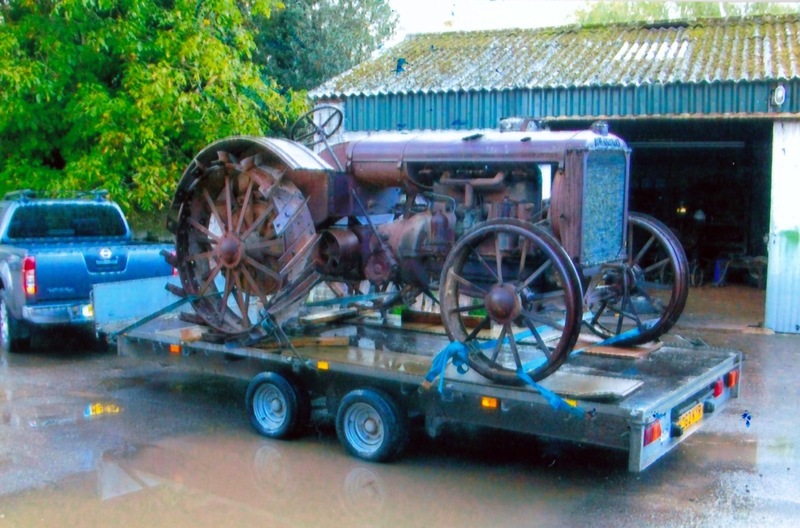 George Street allowed Cyril to use the farm buildings to carry out the considerable amount of work required on this tractor and all subsequent tractors and crawlers to bring them as close as possible up to their original condition. Over the following 35 years this initial interest has become a passion. 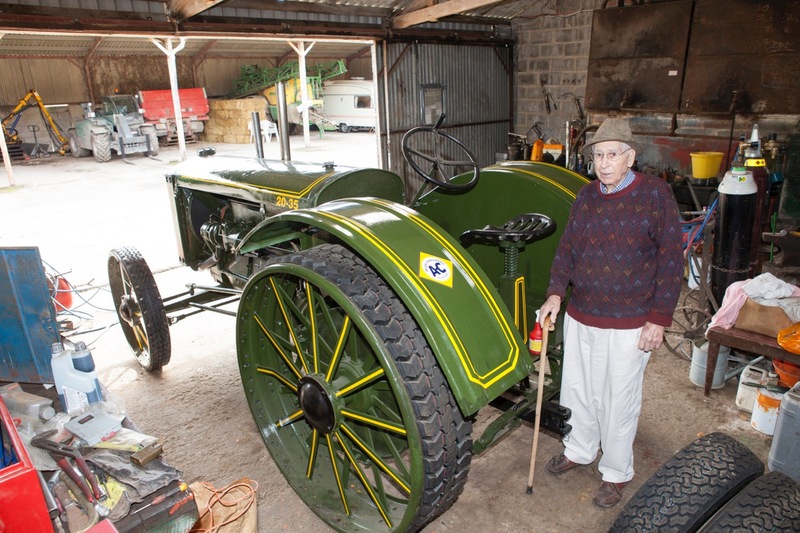 Since purchasing and restoring his first tractor in 1982 Cyril has restored no less than nine machines. 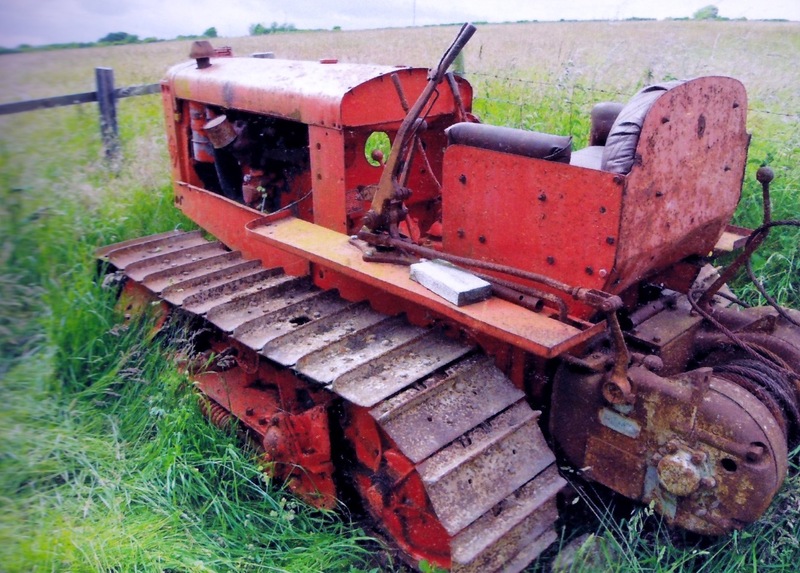 His technical knowledge of these particular tractors and crawlers has steadily grown over the years, so that he is presently regarded internationally as a highly respected authority on the technical aspects of the Model U tractor and the Model M crawler. 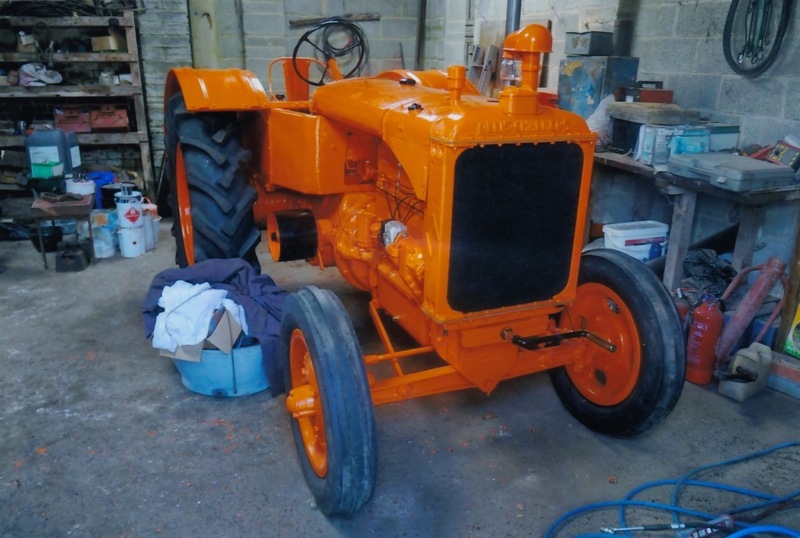 He has recently completed the full restoration of his oldest tractor to date, An Allis Chalmers 20-35. 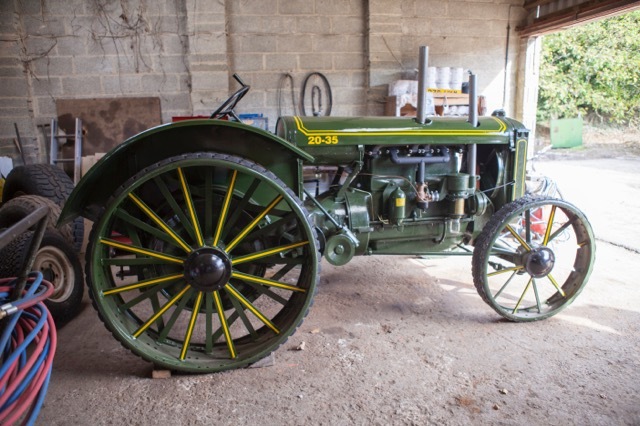 These were produced between 1922 and 1930, producing 38 belt horsepower. 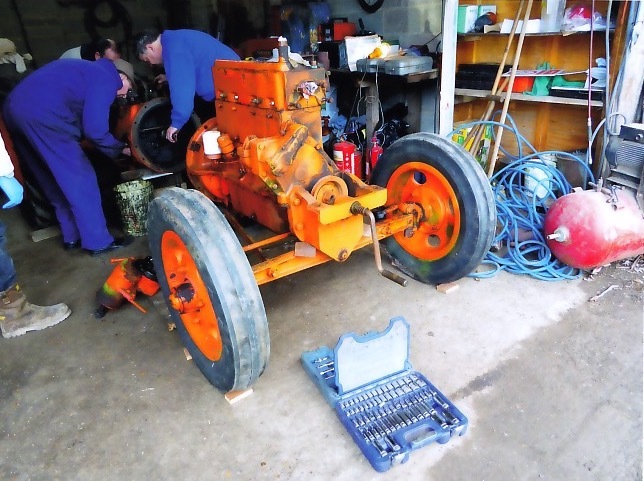 This particular example was shipped over from New York State in America in 2010 in very poor condition, and after going through the hands of several prospective restorers who did little if anything to the vehicle before passing it on, Cyril bought it in 2015. 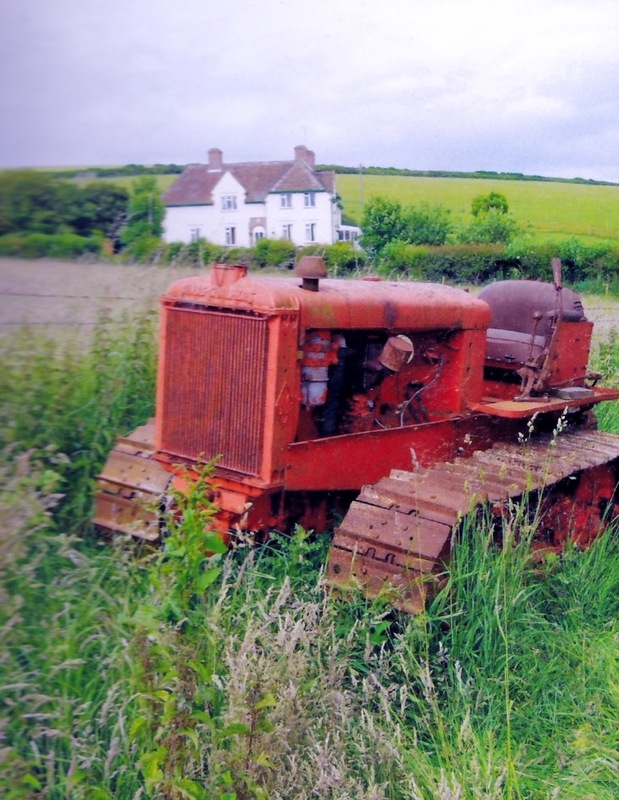 Over the past two years he has worked on the tractor to change it from the ruin it was when he bought it to its present immaculate condition. 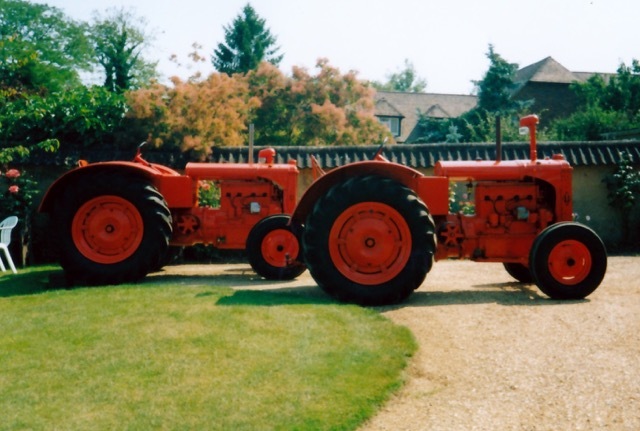 Cyril presently owns two tractors, the green Allis Chalmers model 20-35 and his most recent of three model "U" tractors, the other seven tractors and crawlers having all been sold on to other enthusiasts. Not only are these two kept in pristine condition, but they are in full working order and at 87 years old, Cyril still gets a great deal of pleasure and satisfaction starting them up and listening to the running of the engines. 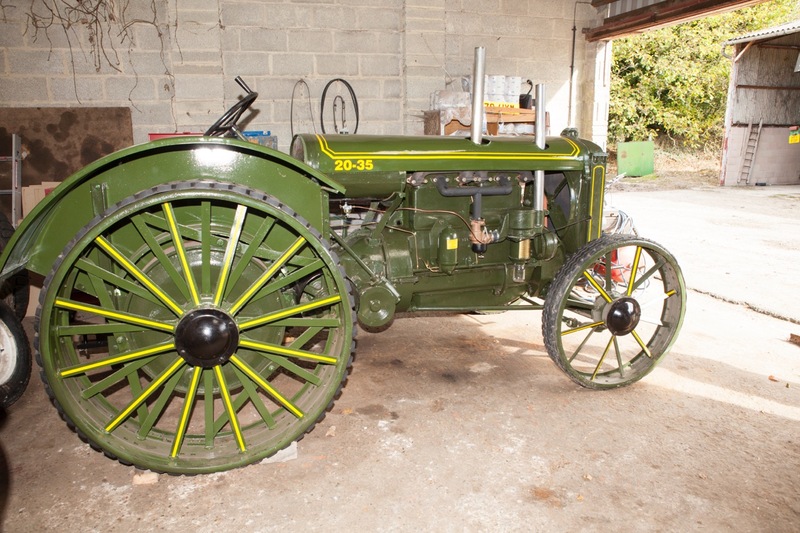 They are a credit to his high standard of workmanship and his deep interest in agricultural machinery over many decades.